Newsletters Archives - Page 2 of 2 - Idea International, Inc. Happy New Year from Idea International! 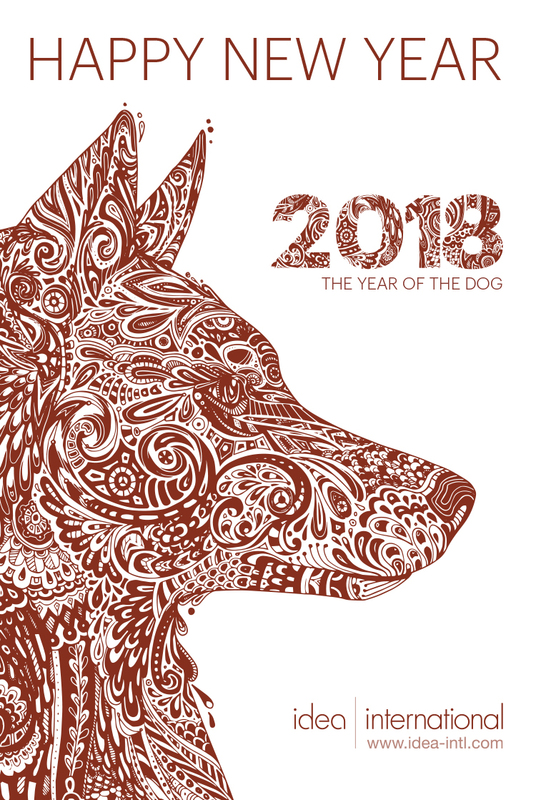 2018 – The Year of the Dog. What can we say about dogs? Vigilant and dependable. The ultimate companion, the most trustworthy of animals. Loyal and honest, amiable and kind, cautious and prudent. With their strong sense of duty and sincerity, dogs will do everything for the people who are important to them. At Idea International, you can depend on us to treat your projects with honesty and commitment. Every customer is important to us, and we guard your best interests, no matter where you exhibit in the APAC region. Our customers trust us to navigate for them when show schedules bring them to unfamiliar venues, cities, countries, and continents. They count on our integrity and negotiating skills to ensure their programs are not only cost-effective but memorable to their APAC markets. Just ask our repeat customers whose projects and testimonials you will find on our website. In the Year of the Dog, we hope you will consider Idea International when your show schedule takes you to the APAC region. You can be sure we will protect your exhibit marketing investment and your brand. Best Wishes for the holiday season! 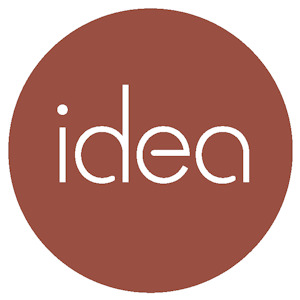 – Chris Dorn and the Team at Idea International, Inc. If your show schedule takes you to cities like Tokyo, Shanghai, Seoul, or Sydney, do you hold your breath and hope for the best? Don’t risk your investment and the success of your program. Experience peace of mind—half a world away—when you work with the first and only company outside the US to achieve the EDPA Certification: Idea International. What does this certification mean? It means that Idea International’s business practices meet stringent standards for exhibit industry excellence as determined by iCompli, a third-party auditing company and a division of BPA Worldwide. Yes: Peace of Mind-Half a World Away. Peace of Mind because Idea International offers fabrication capabilities based on our insider’s knowledge of local construction materials, practices, and resources, allowing us to choose the best option for your program. Provides turnkey services characterized by cultural awareness, assuring you that your exhibit is appropriate for your market. Understands your expectations. 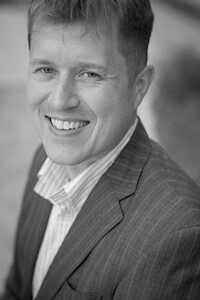 Idea International president, Christopher Dorn, a graduate of Bemidji State, has more than 20 years experience in the exhibit industry and has lived and worked in Asia since 2001. His leadership provides direction for meeting exacting standards in all our work. Your team was fabulous, and the exhibit was a true “show stopper.” I can’t thank your team enough for its unwavering commitment and the beautiful attention to detail that was displayed. The results show, and we couldn’t be prouder. Please extend our gratitude to your cumulative team. As always, we look forward to partnering with your team on future events. Will your company be attending EDPA ACCESS in Carlsbad CA, November 29-December 1, 2017? We will be there—and will be happy to discuss your plans for exhibiting in the APAC region. Participants won’t soon forget this meeting—and why? Because my client made it fun, and fun creates memorability. In the trade show industry, we work hard. We work long hours, over weekends and holidays, 24/7. We are focused on details, and at least speaking for myself, we enjoy our work. But sometimes we forget that work can and should be enjoyable. We get to travel to wonderful places, experience food, culture, and customs that most people don’t even dream about. We have the opportunity to open our minds and hearts to experiences outside our comfort zone. We all have some vestige of Puritanism in our work ethic. At some level, we believe that if we do nothing but work, stress out, and put in long hours—whether necessary or not—that we will get some sort of reward. But meanwhile, we are missing out on so much. One thing I find in my work is too often exhibitors stay in their hotel rooms when they are not on the show floor, order familiar food from room service, and only talk to work colleagues when they could be exploring all the amazing things the APAC region has to offer. One client told me that she had made a promise to herself: she would go to at least one unique event or visit a local museum in every city where she was working. I hope she keeps her promise. Lean on your local exhibit partners for some ideas how you can make your stay more interesting and more enjoyable. 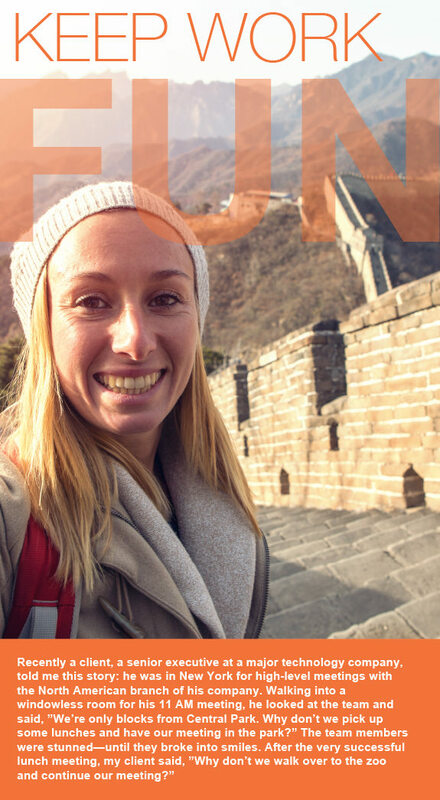 At Idea International, we love to tell our clients about local attractions whether in Shanghai or Sydney. Our motto “Peace of Mind a half world away” allows you to have some fun and absorb the culture in our part of the world. The brand experience is consistent — the materials don’t have to be! Because Idea International works in the APAC region, let’s focus on what you might find. It’s important to trust your partner and leave your expectations about “what we always do” at home. Embrace the culture and the differences! in Japan, laminate is unpopular. There are few domestic manufacturers and storage is limited. Importing laminate is costly, and eco-friendly Japan creates hurdles for a material that is not recyclable. 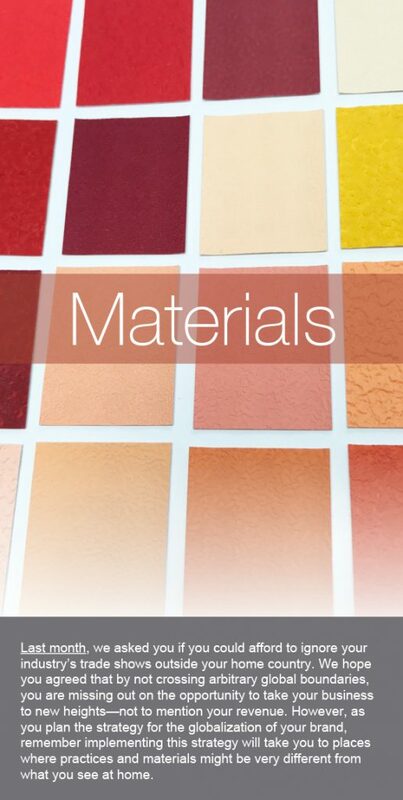 Wallpaper and vinyl are used in its place and compared to laminate selection, the choices are staggering. 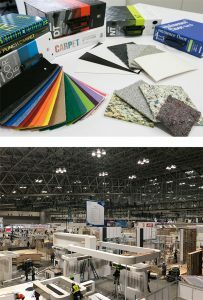 Show floor workers are skilled in applying both wallpaper and vinyl, and the look will resonate with the local market. In China and Korea, spray finishes are the premium option. In Singapore, roll-paint and laminate are commonly used. And what about carpet? Instead of the deep pile carpeting and double padding used in the U.S., in the APAC region, the standard carpet is needle punch, which requires less storage, can be produced inexpensively and is easily recyclable. The hanging sign, a staple of U.S. exhibits, is uncommon in the APAC region. Various restrictions, insurance liabilities, and the actual exhibit hall ceilings make this an unattractive option. On the other hand, ambient lighting in exhibit halls can very easily come from skylights. Pantone Matching Systems (PMS) are used the world over. There is no reason that the color and design of your logo should not be the same wherever your exhibit program—and your markets—take you. Choose a partner familiar with the growing number of venues in the APAC region and who knows the limitations, opportunities, and possibilities each unique venue presents. Communicate your goals to your partner, then trust that they will execute to your strategy using the most popular and efficient materials. By embracing local customs and processes, your program is cost effective. Ask yourself: are you really adding value by doing what you always do at home? 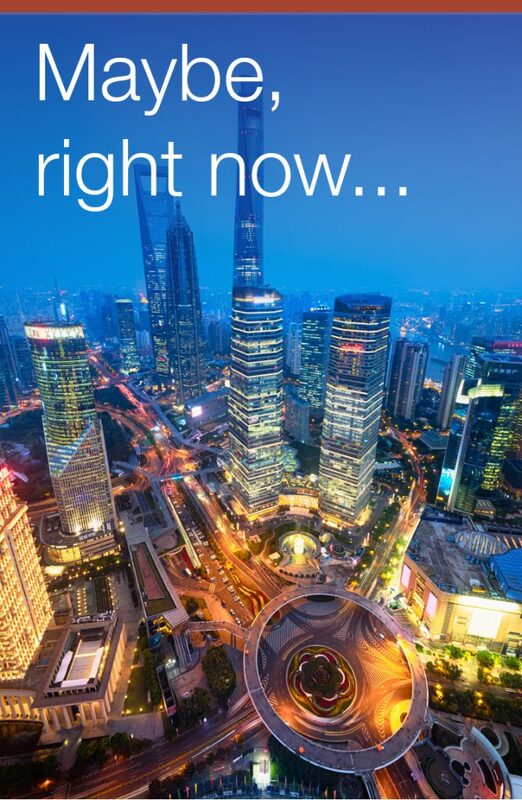 …Exhibiting in the APAC region is the farthest thing from your mind. You can’t imagine taking your exhibit program halfway around the world to new markets and audiences. Let’s pretend for a minute that your company is in the digital sound industry. The ways in which we experience sound, listen to music, and how it is recorded and tagged with metadata has changed dramatically in just the past few years. The devices used to capture and deliver sound have been transformed. Not the speakers, mics and headphones, but the technologies supporting them and the growing applications we have for them are changing the shapes and sizes of sound equipment. Wires have disappeared with evolving Bluetooth capabilities and the work to reduce distortion and produce superior sound quality is ongoing. Technology, including sound, has created a global village. These words are not specifically for the U.S. but for a global audience. So if you exhibit at NAB, why don’t you exhibit at IBC in Amsterdam—or CommunicAsia in Singapore? There are 1,874 exhibitors at NAB, 1,679 at IBC, and 1,100 at CommunicAsia. While NAB attracts almost 70,000 buyers and visitors from more than 160 countries, there are approximately 35,000 buyers at IBC and approximately 25,000 at CommunicAsia. What should interest you even more is the fact that the latter two exhibitions also attract large global audiences, not simply regional visitors.Can your brand afford to ignore these additional buyers? Markets are global, and technology does not acknowledge geographical boundaries. Most industries do not. Your show schedule needs to encompass the world. Is the reason you are not exhibiting outside North America because the prospect of transporting your program to another country is daunting? It needn’t be. Companies like ours, Idea International, will manage your logistics every step of the way, ensure your brand consistency, and manage your budget so you can focus on market expansion. Contact Idea International now—we’ll be happy to help you find the right shows in your industry. Here at Idea International, we keep in touch with people all over the world. As grateful as we are for all types of electronic communication, in March 2017, we will have two opportunities to meet with you face-to-face to discuss your exhibiting needs for events in the APAC region. Our team will attend both EuroShop (March 5-9 in Dusseldorf, Germany) and ExhibitorLive (March 12-16 in Las Vegas), and we are looking forward to meeting as many of you as we can. Both of these events traditionally provide not only a jumping off place for new ideas to make exhibits more compelling and interactive, but also major networking and social opportunities. At EuroShop, Idea International will be sponsoring the EDPA Pub Crawl and the International Mixer, an activity co-hosted by EDPA, IFES, and FAMAB We will be available for meetings at the EDPA exhibit—or anywhere that is convenient for you. Contact us now to make an appointment. Members of our team will also be on site at Mandalay Bay in Las Vegas for ExhibitorLive, and again, available for meetings to discuss your needs in the APAC region. Whether you would like to get together on the show floor or off the floor, after the hall closes, we would be thrilled to talk to you. Face-to-face works—let’s make it happen! 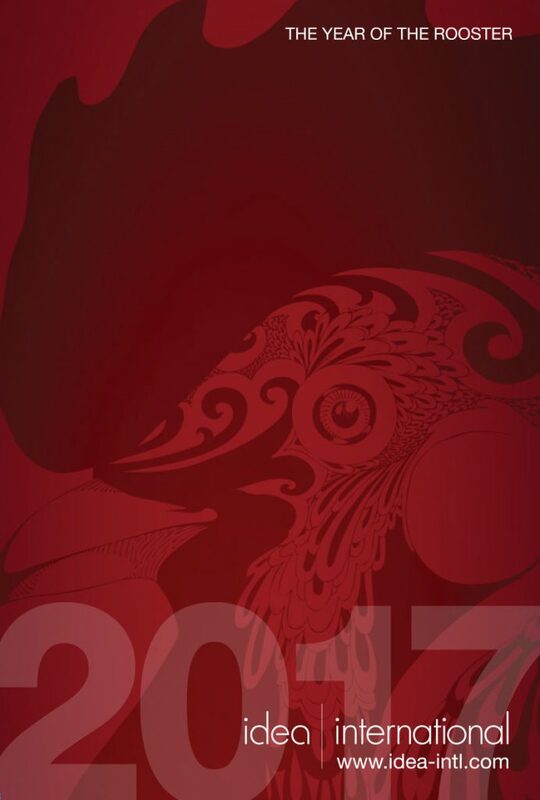 Happy 2017 and Happy Year of the Rooster! What can we learn about the Rooster? The Rooster is the epitome of fidelity and punctuality. Before there were clocks or Apple watches, the crowing of the Rooster would awaken the town so people would rise and start the new work day. What are some of the Rooster’s other traits? Roosters are observant, resourceful, courageous, open, and honest. More than any other animal in the Chinese zodiac, Roosters are motivated and hard working. Multi-tasking doesn’t deter them. At Idea International, our goal is to be like the Rooster. Every new day begins with your projects, with your exhibit and events program in the APAC region. We are committed to achieving success with your face-to-face marketing program. As we have grown as a company, our knowledge of the venues throughout the APAC region is now second to none. What is on our radar this year is the fact that the exhibitions in the APAC region are not only attracting local attendees but global attendees as well. The trade shows and fairs in our part of the world are gaining in importance and significance in a number of industries. Like the Rooster, we welcome every new day and every new opportunity. As you determine that expanding your markets includes exhibiting in the APAC region, we would be delighted to be your partner. And as we welcome the new year, we also welcome new team members. Francisco (Art) Lopez joined our team last November. Originally from California, he moved here several months ago with his wife, a Japanese native, and their young daughter. After seven years in Anaheim’s robust hospitality industry, Art is bringing his in-depth skills and knowledge to the exhibit world. His background is invaluable when we need a negotiator for contracts and managing client services. He holds a BA in International Business from California State University at Fullerton. Our highly motivated and hardworking team is here to help you. Contact us today! 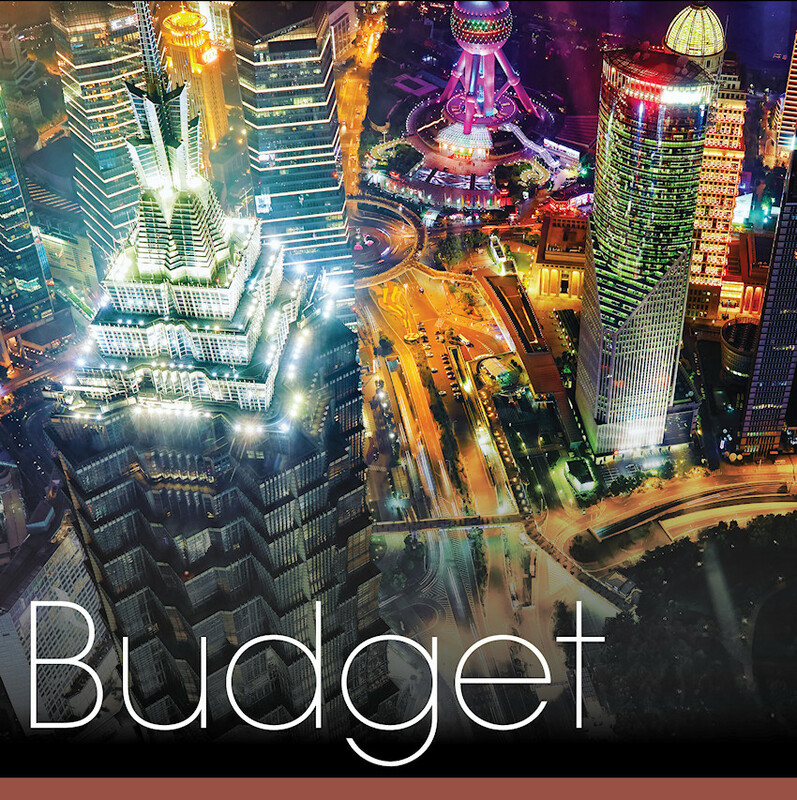 Budgeting for APAC region exhibiting? We can help! Have you been reading the exhibit news and advertising press? When it comes to international market spend, marketeers have curtailed their spending in Europe and are looking to the APAC region for more robust markets and a better return on their investments. You can show finance all those articles when you go to present your trade show budget – or you can do some real preparation, the kind that finance like – you know, numbers instead of words. Part of your preparation should be expecting finance people to say “Whaaat?” Exhibiting in the APAC region sounds, well, kind of scary because it is far away, right? Let’s take for granted that you have researched the potential of these markets and can show why they are important. DIY will not save money. It will not only be cost more in the end, but it will also, in all likelihood, do very little to promote your brand effectively. Enlist a partner who not only knows the region but knows the countries, cities, and specific venues in the region. Choose a company that has relationships, a network, and a good understanding of the local work laws and culture. Include a site visit in your budget; you can determine later whether this is necessary, but culturally you could be in for some surprises—and we all hate surprises when it comes as a hit to our budgets. Talk to the organizer and negotiate with the hotels. If anything seems a little fishy for you—let’s say, wire transfers to an individual—ask your local partner to investigate. Your largest expense is show space; if you have paid for the space in last year’s budget, note the expense in this year’s budget. Factor in travel, hotel, meals and incidentals. List your company attendees from each country and/or city. That way the airfare estimates, if you don’t have firm prices yet, will be more accurate. Here are some recent per diem estimates by APAC countries, courtesy of Exhibitor Magazine and Business Travel News Corporate Travel Index. Total exhibition space sold at Asian trade fairs increased by 5.6% in 2015. 56% of exhibition space in Asia/Pacific is sold in China. India has the fastest growth rate in the Asia/Pacific region. Total Venue Capacity in Asia/Pacific to exceed 7.8million square meters (m2) by year-end. Net space sold at Asian trade fairs jumped by 5.6% in 2015 to almost 19.7 million net m2: 19.69 million m2 of net space sold to exhibitors in 2015, up from 18.64 the year before. 56% of that space was sold in China, with Japan as the second largest trade fair market. Asia’s venue capacity will exceed 7.8 million m2 by the end of 2016 and the number of venues operating in Asia this year will reach 207 – that is more than double the 100 venues that were in operation in 2004. Sponsorships and promotional activities can be the flexible part of your budget. Negotiate with the organizer to determine a way to promote your brand off the floor and within your budget. Exhibit build and design, including graphics: if you have a U.S. design that you would like to use, share that design with your partner to learn whether or not it is feasible and/or culturally acceptable. The same is true with graphics files. Labor and other show services: Trust your partner. Some countries have unions, some don’t. Some have works hours, others stay until the work is finished. Some shows are adopting the U.S. drayage model, fortunately many have not. If you absolutely need to ship something to show site, work with your partner to expedite the shipment. Learn whether all or part of the VAT is recoverable. And ask your partner about other charges such as recycling so that you are not hit with unexpected tariffs. As the saying goes, the best surprise is no surprises—and that definitely applies to your exhibiting budget! Christopher Dorn, president, has the dual advantages of receiving his BA at Bemidji State in exhibit design and technology, and of working at a number of US exhibit houses before moving to Japan and launching Idea International. He understands both the exhibiting processes in the APAC region as well as the expectations of North American exhibitors. Ryosuke Hosaka, account manager at Idea International, graduated from Ritsumeikan Asia Pacific University with a major in Asian Pacific studies. His studies focused on cultural and social norms as well as international relations within the area and included media, visual culture, and gender studies. His university experience allowed him to meet and develop friendships with students from over 100 countries. The sum of this is a well-rounded and unique perspective on marketing within the APAC region.Before joining Idea International, Ryosuke introduced Vietnamese engineers interested in outsourcing opportunities to Japanese industrial companies. But his interest in media drove him to work for Tokyo Gets/ TG Rights Studios in Jakarta, Indonesia, where he was in charge of media sales and event marketing, often working with the agency’s Japanese clients. David Capalbo was born and raised in Nuremberg, Germany. After studying economics and data processing, he completed nine months of military service. When he left the military, he decided to pursue his interest in countries in the APAC region. He journeyed to Japan on a one-year working holiday visa that allowed him to travel, work, and learn the language.After a year in Japan, he sought a full-time job there. Working in sales and marketing for Antares’ SHARK Energy Drink, he was introduced to the world of event marketing. After three and a half years of creating marketing campaigns and planning trade shows for SHARK, he joined Idea International. He speaks four languages—German, English, Japanese, and Turkish. Sungsik Oh was born in Korea but studied in the Philippines at an international school where he learned English and honed his communication and networking skills. His interest in Japan as well as Japanese rock music, bands, and gaming brought him to Japan, where he not only learned the language but earned a degree in psychology at Doshisha University.. Before joining Idea International, he worked as an interpreter in exhibits and for a shared housing company. Sungsik speaks Japanese, Korean, and English—and loves rock!